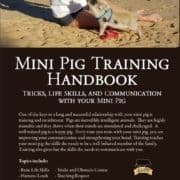 The AMPA’s official Mini Pig Training Handbook: Tricks, Life Skills, and Communication With Your Mini Pig is the first training book of it’s kind! 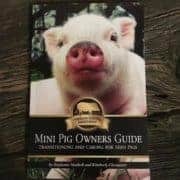 An impressive 130 pages full of training instruction, behavior, communication, problem solving, aggression, tricks, manners, B & W photos to help you visualize the wonderful companion that is within your reach. 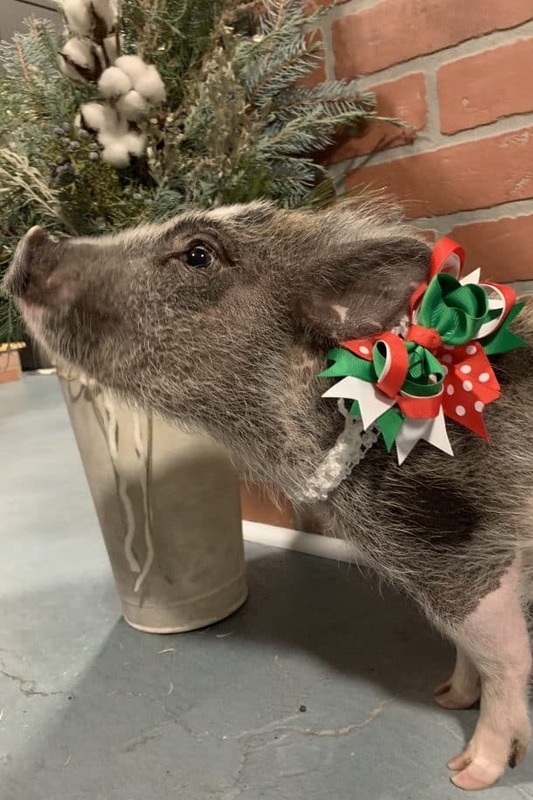 One of the keys to a long and successful relationship with your mini pig is training and enrichment. 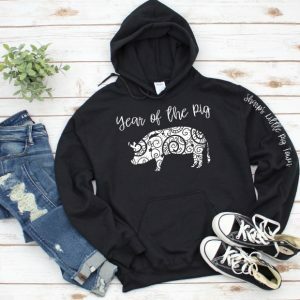 Pigs are incredibly intelligent animals. 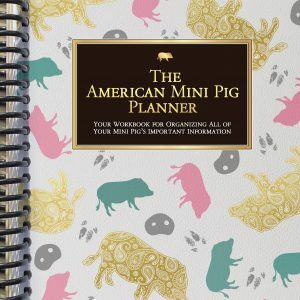 Highly trainable and they thrive when their minds are stimulated and challenged. 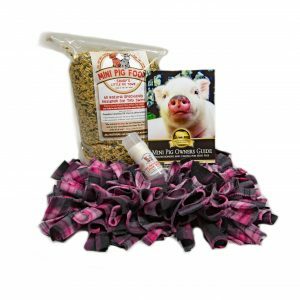 A well trained pig is a happy pig. 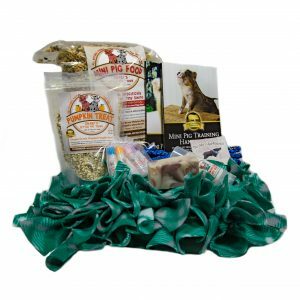 Every time you train with your mini pig, you are improving your communication and strengthening your bond. 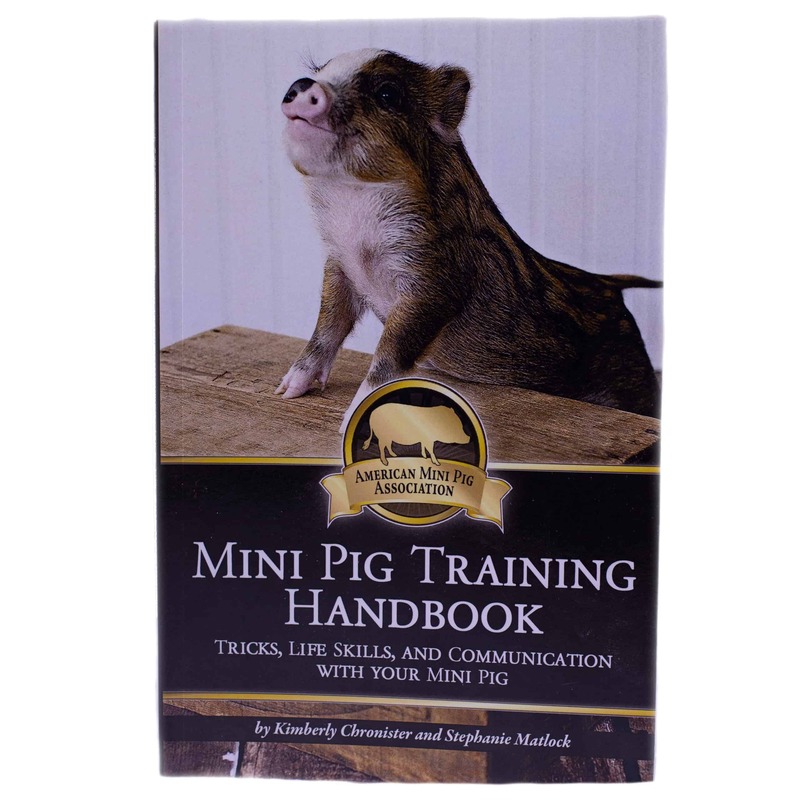 Training teaches your mini pig the skills she needs to be a well behaved member of the family. 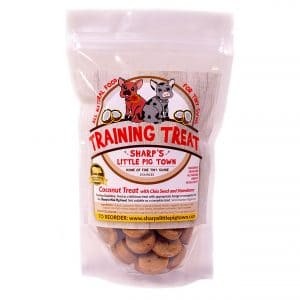 Training also gives her the tools she needs to communicate with you.